Lilian Pungas graduated in politics from the European University Viadrina in Germany. 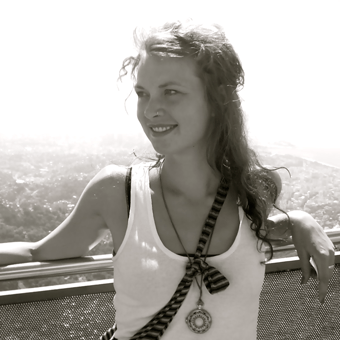 Originally from Estonia but based in Berlin, in recent years she has become involved in degrowth movement in Germany and elsewhere. Since then she has been active on an academic as well as activist level in various groups and NGOs addressing either the issue of climate justice or supporting the degrowth and education for sustainable development. Some of her research interests include sustainability practices, environmental concern and political ecology in Eastern Europe, the trade-offs between economy and environment, social metabolism and sufficiency politics. Currently she is working on an environmental performance framework that aims for reassessing region-specific sustainability potential of European semi-periphery. Pungas, L. 2017. “Soziale Kosten der ökonomischen Transformation in Estland – der Preis des Wachstumsparadigmas”. Ost Journal 2017/01: 10-19.